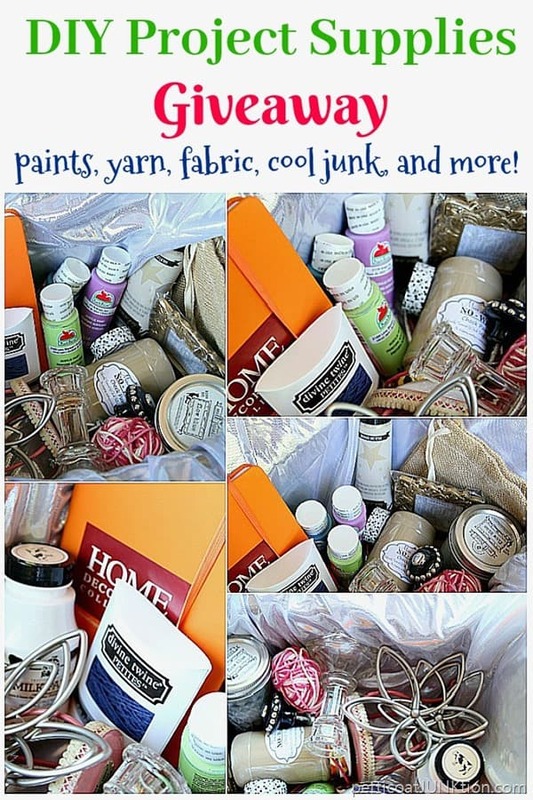 Could you use a few DIY project supplies…..or maybe a whole box full of new craft stuff and cool junk treasures? I never have enough project supplies. I start working on a new craft and sometimes have to run out and pick up something to finish the project. Most of the time I have it on hand because I’m always shopping the thrift stores and stocking up. It’s the second Sunday of the month and you know what that means. 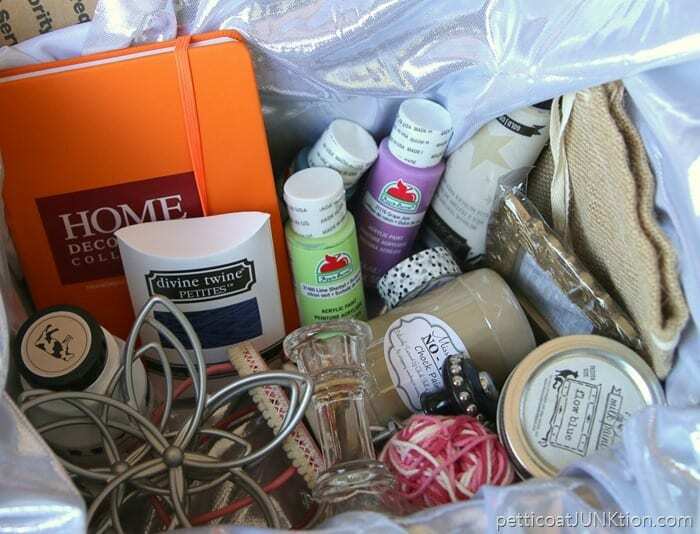 Time for a craft supply giveaway. 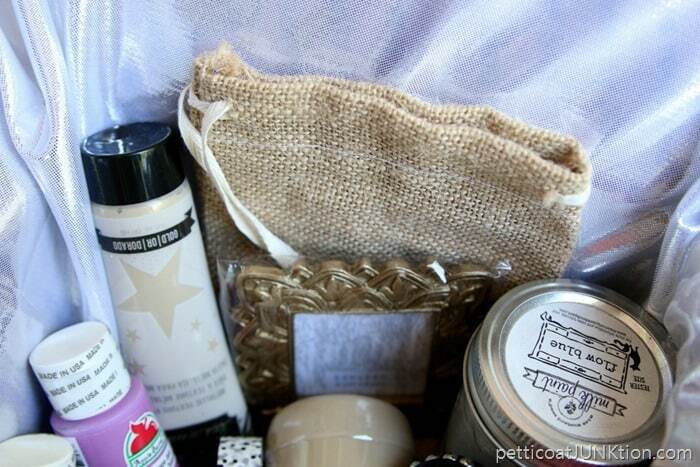 I have 3 kind, crafty, DIY blogging friends joining in the giveaway. 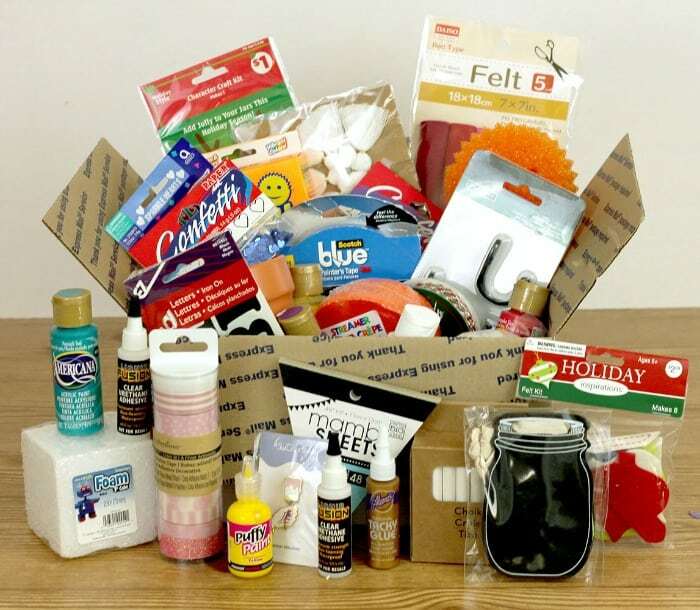 They have put together some over-the-top gift/giveaway boxes. The links to their giveaways are at the bottom of this post so after you enter the Rafflecopter giveaway here be sure and visit them. 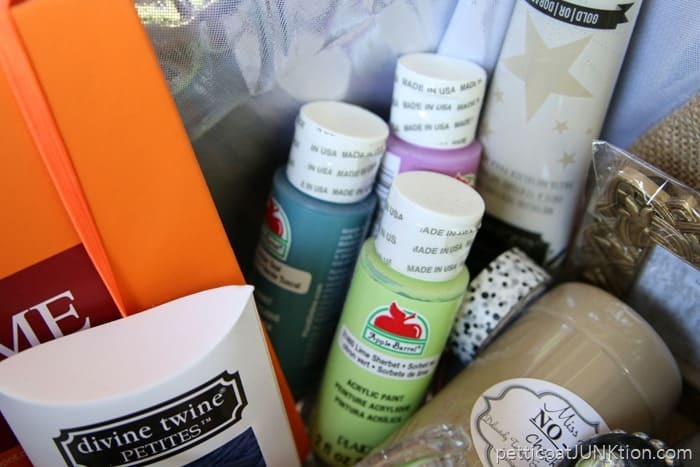 I’ve stuffed my giveaway box with acrylic paints, two types of milk paints, and “Miss Lillian’s Chock Paint” made by a friend of mine and sold all over the country. 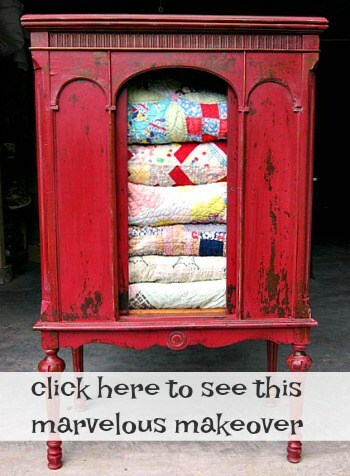 I added a few of my junk treasures……. a candlestick, yarn, new furniture knob, a notebook, Washi tape, more junk stuff…..
and I always throw in extras if there is room when I pack the goodies for shipping. Please enter by answering the question “What would be your dream vacation?” on the Rafflecopter below. Just click where it says answer a question, put your answer in the box, and click enter. Your email is automatically saved with the Rafflecopter entry. Answering the question in the blog comment section at the bottom of this post does not register you for the giveaway. Please come back and enter the giveaway once a day until it ends. 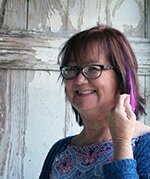 After you enter the giveaway here click on the photos or pink text links below to visit my friends and enter their giveaways. Time to enter…..Good Luck…..
Disclosure: Giveaway closes May 21, 2017 at 12:00 a.m. CST. Open to US residents 18 years and older only, void where prohibited. Winner will be chosen at random by the Rafflecopter and contacted via email. Winner has 48 hours to reply to the email or they will be disqualified and another winner selected. 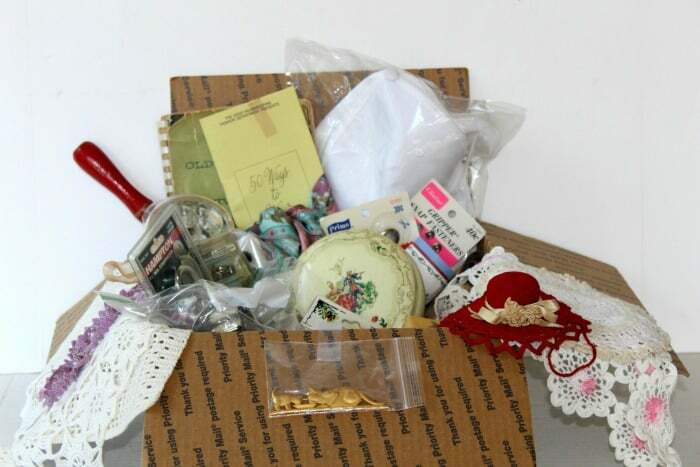 Shipping of giveaway package courtesy of Petticoat Junktion. 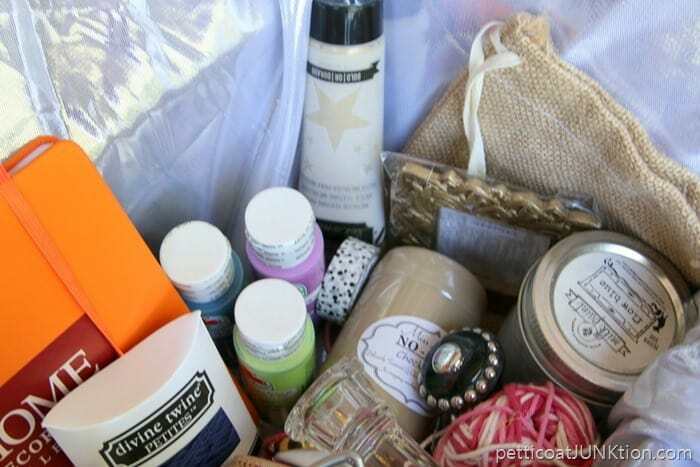 Visit my friends and enter to win……click the photo or the pink text link….. Thanks for being here and have a great day! 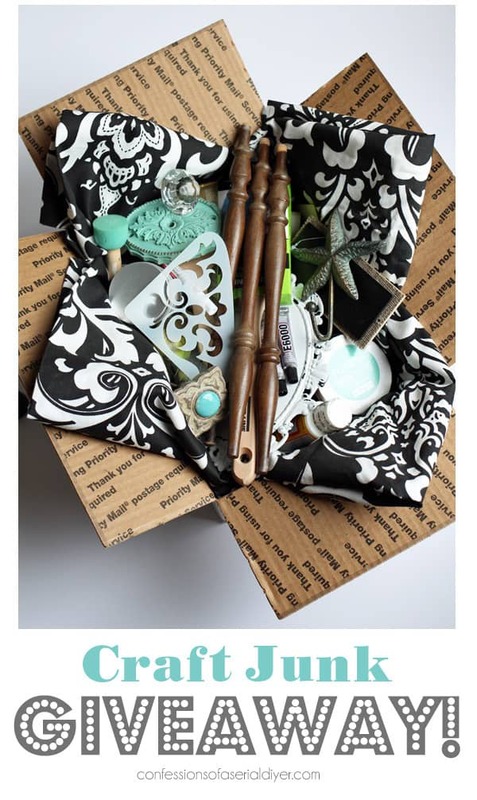 Such a fun giveaway, I am glad I just discovered your blog. I do repurpose crafting. And since I am not able to work now, I need my supplies to be free or as cheap as I can get them (flea markets, thrift shops and yard sales. My dream vacation would be the mountains (spring or summer), a comfy porch, cup of coffee and nature. My dream vacation would be week spent at Brimfield, followed by a week at Roundtop, Tex. I watch Flea Market Flip all the time and Brimfield blows me away. Of course, I would want spending money, no husband w me and then a uhaul to drive my treasures back to Oregon…..ah, heaven! What a fun giveaway! Those supplies have given me some fun ideas of future projects! My dream vacation would be to pack the entire family into one of those ridiculously huge and comfortable RVs (a magically easy-to-drive one with great mileage, in my fantasy) and criss-cross North America, stopping at whatever National Parks and other points of interest struck our fancy at the time. What a great giveaway box! 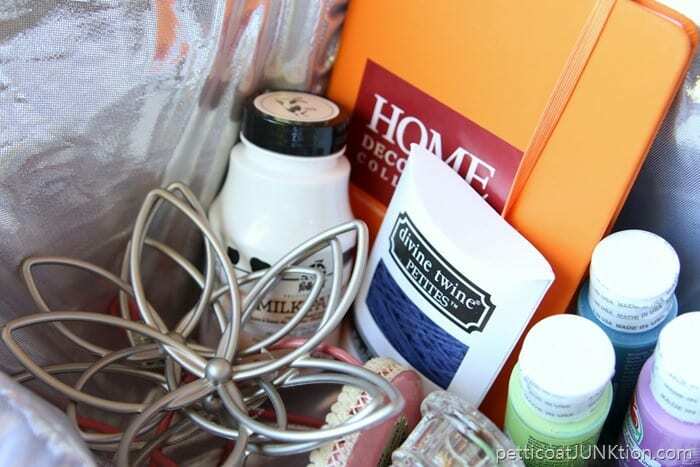 Chock full of great goodies!! Thank you so much! This is one of my favorite sites! I love all the tips & the pics! I am happy on any beach….thanks for the giveaway chance! Your Welcome. I love the beach. My dream vacation would be to go to Ireland and see all the old castles and the beautiful landscape. Looks like a great give-a-way. Thanks for being so generous! I have a friend who rented a house on a private island off of the Florida coast for a week. Two weeks sounds like heaven to me, I think it would be extremely relaxing and peaceful. That sounds like a dream come true. Thank you Ivory. Happy Mother’s Day to you too. I replied in the comment box. Thanks for the generous giveaway! Happy Mothers Day! You’re welcome Robyn. Happy Mother’s Day to you too. Hi, my dream vacation would be to explore every inch of you beautiful united states. I love, love, love this box! Oh the things I could do, with these treasures! It would keep me busy, while I dream about the vacation I mentioned in my entry! ? My dream vacation would be to take my hubby, two sons, granddaughter and two grandsons to Australia for Christmas! It has been a dream of mine to do this for many years! TFS! Forgot to say how uch I love the “junk” in the box! Looks like a whole lot of fun to me! TFS! That little stencil of flourishes … which company makes it and where can I get it . I’ve been looking for something like that for a long time. ps I love your blogs. I’m not sure Rosemary. 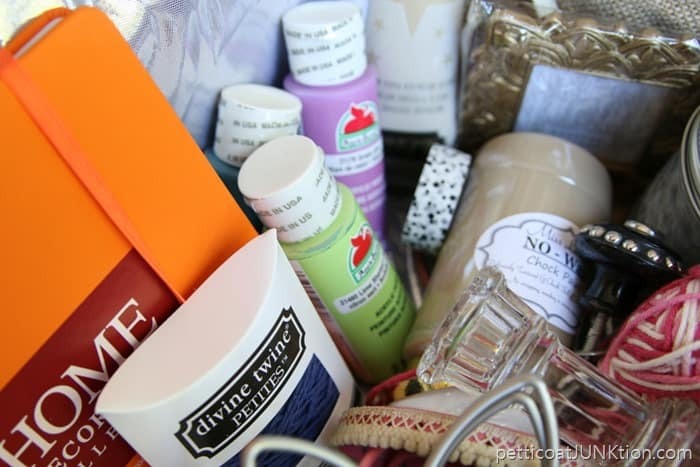 That stencil is in the giveaway box from Christy, Confessions of a Serial DIYer. You should visit her blog and ask in a comment. Thank you. 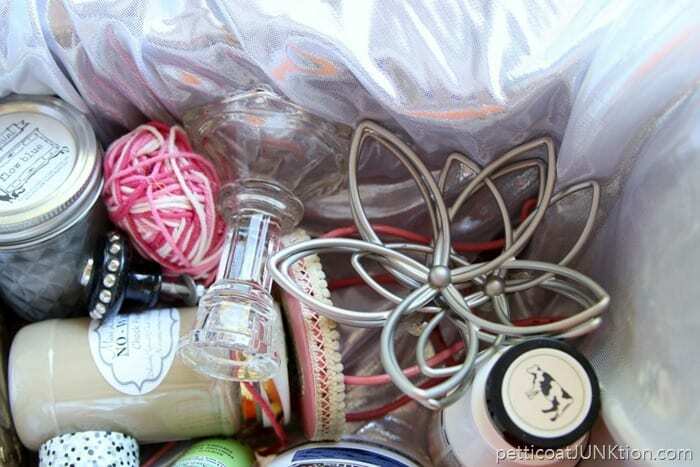 What a great supply of craft items. My dream vacation would be touring multiple plantations throughout the South. It’s a great box, and I’d love to win one. But since I don’t Facebook, except for yours, I can’t enter the others. Sorry about that Dixie Lee. I let the other girls set up their Rafflecopter the way they want to. Good Luck on mine! Thanks for all your fun give Aways! I may need some help on a project soon.